Q. Is it necessary to obtain Associate Member status prior to gaining full certification? A. 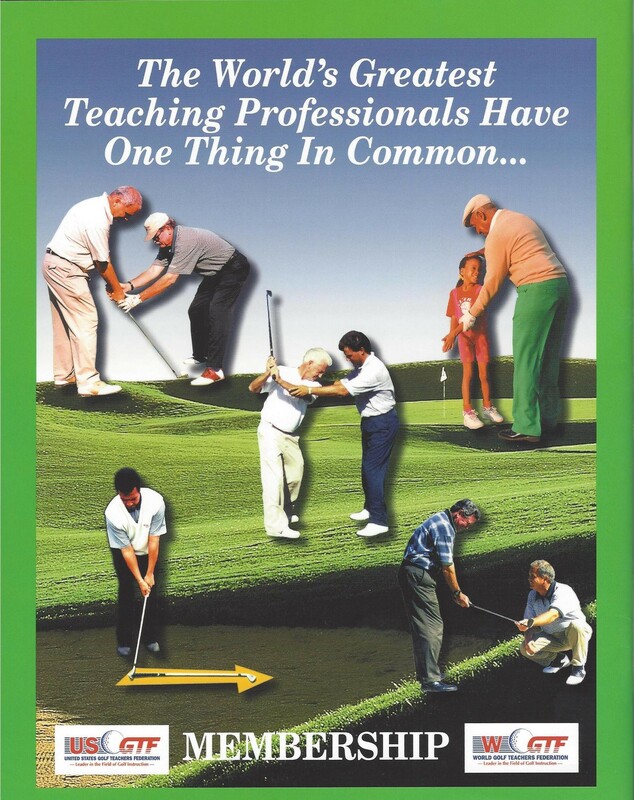 No, you may elect to initially attend the entire Certified Golf Teaching Professional® on-site course. Q. What if I do not pass the playing ability portion of the course? Can I still gain certification? A. Provided you have passed the written and teaching aspects of the course and you are within four strokes of the target score, you may, within a 12-month period, submit four attested score cards with the appropriate target score or less on any championship course (6,000+ yards for men, 5,000+ yards for women). These cards must be attested by any three individuals along with their scores on the same card, and signed by the local professional (four signatures). The fee for this is $35. Prior to submitting the appropriate scores, you will be an Associate Member. If your playing ability test score is more than four strokes over the target score, then you must return to any certification site and simply redo the one-day PAT. The fee for this is $150, which includes green and cart fees and the banquet dinner. Q. Do you have a Senior Division? A. Yes, we do and we are very proud of our many members over age 50 who are actively teaching and promoting the game. Q. Is there an annual fee to maintain membership? A. Yes. The annual fee of $225 is due by December 31st of each year. This keeps your membership status in good standing and allows you to take advantage of the many member benefits, Golf Teaching Pro Magazine®, member tournaments, and more. Feel free to call us at 1-888-346-3290, or email us at info@usgtf.com.